A stunning rural property, within close proximity to Hobart CBD, sets the scene for a very resolved and minimal project. 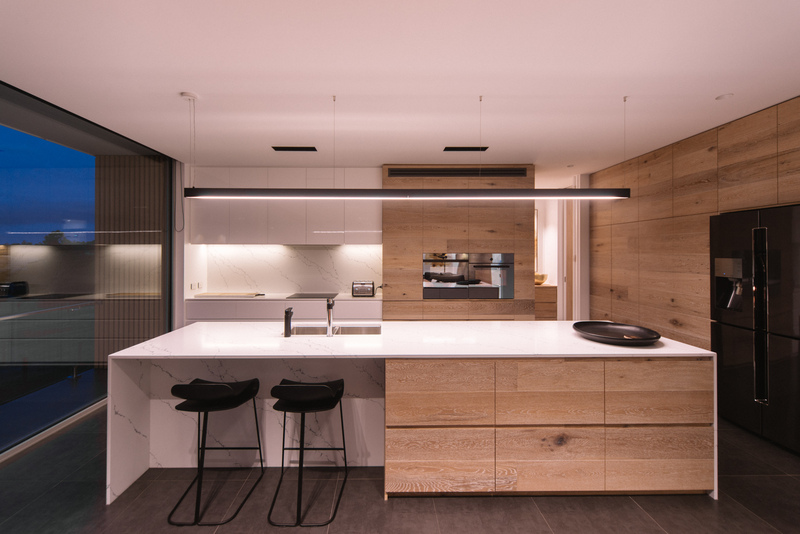 A detailed functional brief is the priority for the project, yet the forms and aesthetics seem to blend effortlessly with these requirements, as well as having a naturally sympathetic relationship to the surrounds. 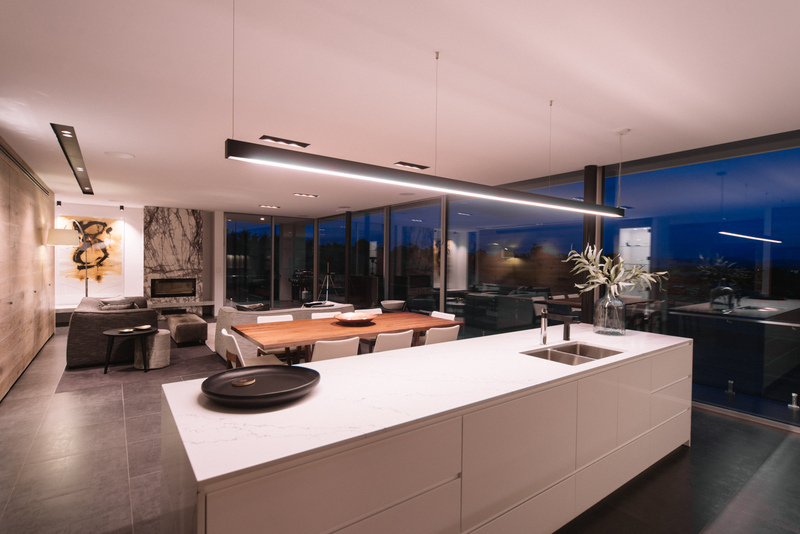 The finishes, materials & details of this project are all of the highest quality. Set over two levels overlooking Acton and across the water to Dodges Ferry, the four Bedroom, 3 Bathroom house with study and gymnasium provides the serenity of rural living. 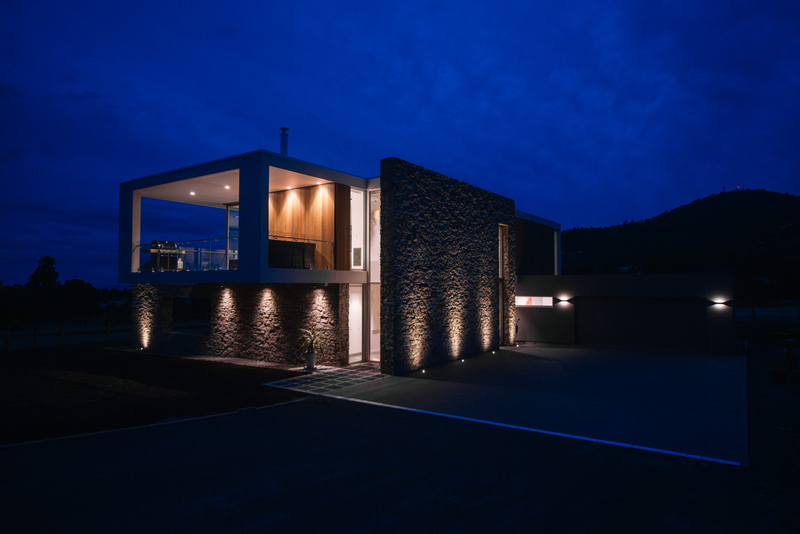 Generous double glazed windows and doors throughout, Tas Oak oiled battens, Rendered EPS foam, Rendered blockwork, hand laid natural Limestone veneer feature walls externally and internally and exposed White Calder and Blue Stone aggregate driveway compliment the site. On the North-Eastern façade you will find a tiled undercover balcony with a frameless glass balustrade to allow uninterrupted views from the lounge. 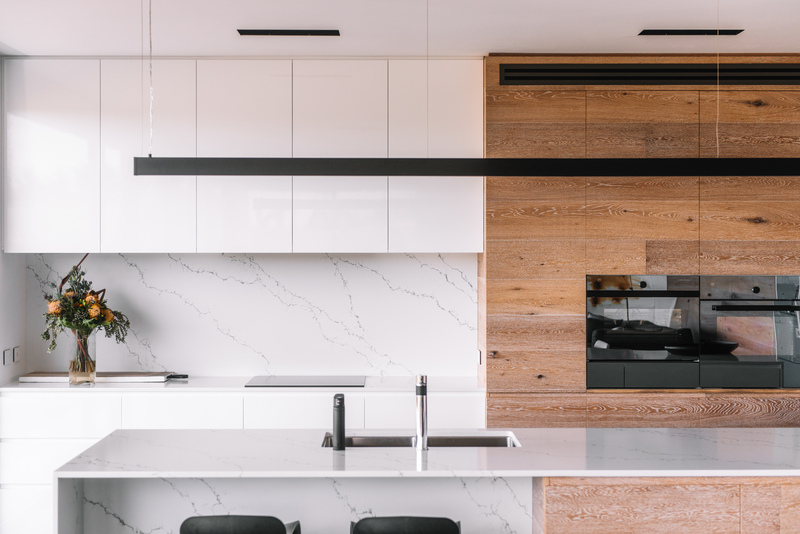 Inside you will find luxurious materials utilized throughout; Lined American Oak joinery in the kitchen with synthetic marble benchtops and high end appliances. Natural Marble surrounding the fireplace with Lined American Oak cabinetry to tie in with the kitchen. 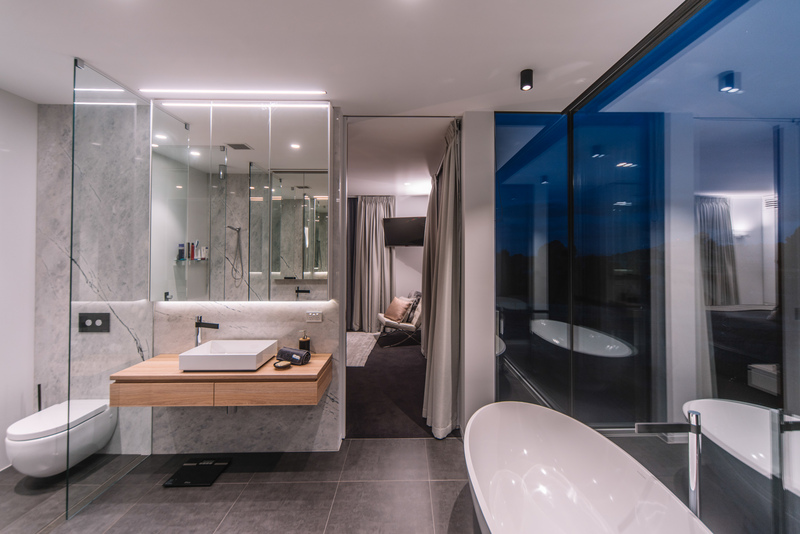 In the master bedroom there is a fixed stained American Oak headboard with natural marble bench tops in the ensuite, the real feature being the freestanding bathtub placed beside floor to ceiling widows to take in the landscape. 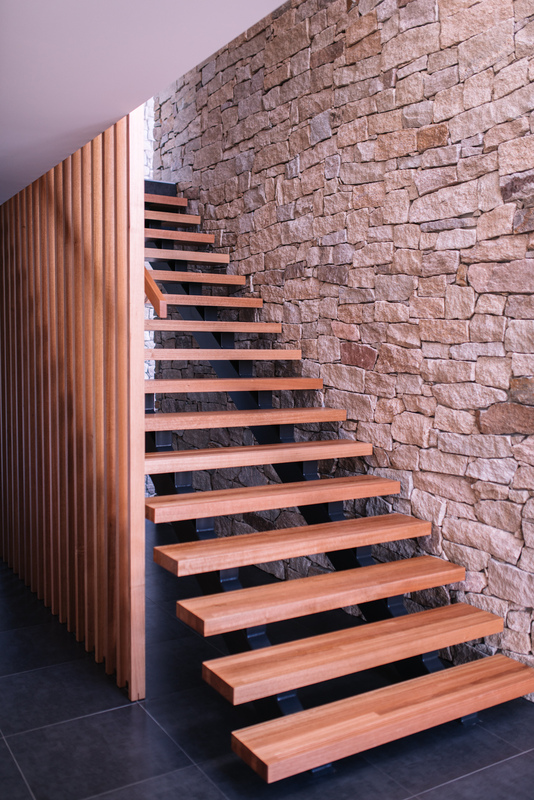 A key design feature of Cambridge house is its entry stair, featuring floating Tas Oak treads on steel stingers with a waxed Tas Oak railing detail against the backdrop of the natural Limestone walls.